If you are not a tea drinker that doesn’t mean you should skip this post as this recipe can be made with coffee too. You can replace the tea with some brewed coffee or a shot of espresso. 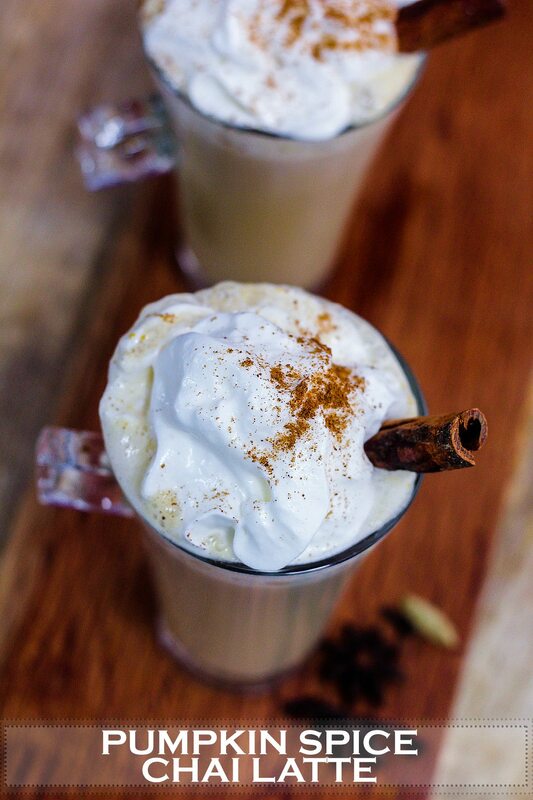 Yup, both tea and coffee lovers can rejoice with this recipe! I bloody love pumpkins as they are not just delicious, they can be used in so many different ways! Roasted – I can eat this every day. Pumpkin seeds are amazing and nutritious. For scaring people. Well, you know those scary faces that people carve out of them during Halloween? I was fasting yesterday and as usual after not eating for about 14 hours, the cravings started to kick in. This time round, I was craving for a Pumpkin Spice Latte. Hot, creamy with a slight hint of spice. If Starbucks was just 5 minutes away from my house, I would have got my instant gratification fix but hei, since Starbucks wasn’t anywhere near my place, I had to be a rock star and made this Pumpkin Spice Chai Latte from scratch. Since I do not consume coffee, I used tea instead. But just as I said, you can substitute the tea for coffee, and you can opt to use any type of tea you prefer. I used spice chai however If English breakfast tea or Earl Grey rock your boat, please use that. Mix everything in a jar and there you have your own pumpkin spice. 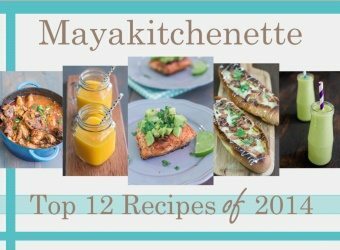 This recipe is just fantabulous. 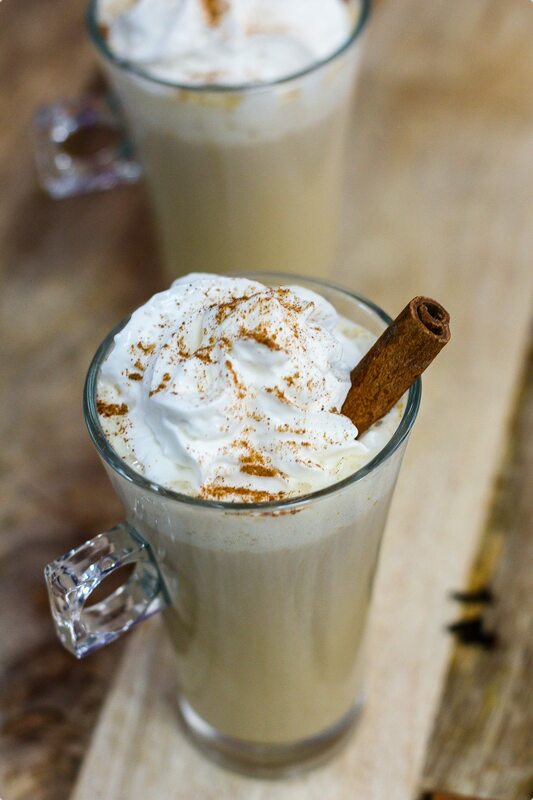 I am so so in love with this creamy and velvety Pumpkin Spice Chai Latte! 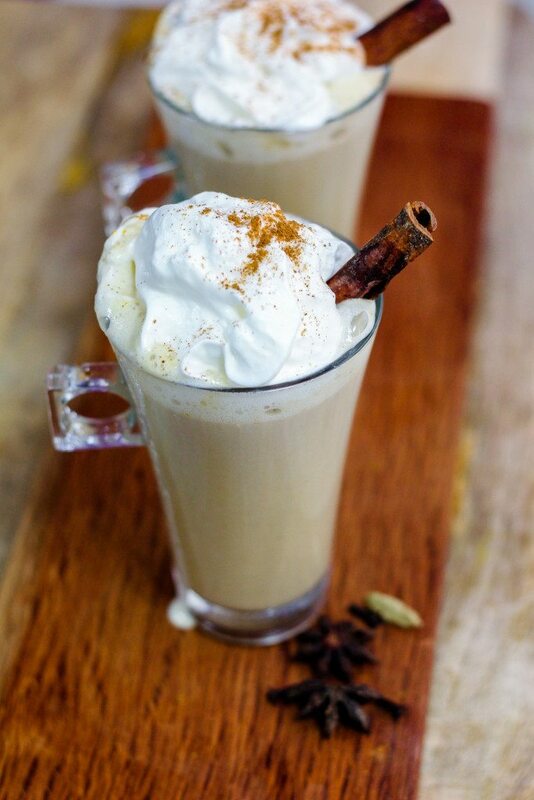 The real pumpkin gave body to this latte, the warm spices heats up your body and the cream on top makes this so fancy despite the fact that you are sipping this in the comfort on your own home, in your PJs. I do have more of the Pumpkin Spice Mixture in my fridge. Here’s to many more Pumpkin Spice Chai Latte to come!! Mix all of the base ingredients together in a pot and cook for about 3 minutes or until the brown sugar has melted. Once cool, place in a bottle or container and store in the refrigerator. This keeps for about 10-14 days. Pour ½ cup of boiling water over the chai tea bag. Leave it to steep while proceeding to the next step. Heat milk in a saucepan or microwave until steaming hot. Whisk to make it frothy. Add in 2-3 tbsp of the pumpkin spice mixture into the milk and whisk well. 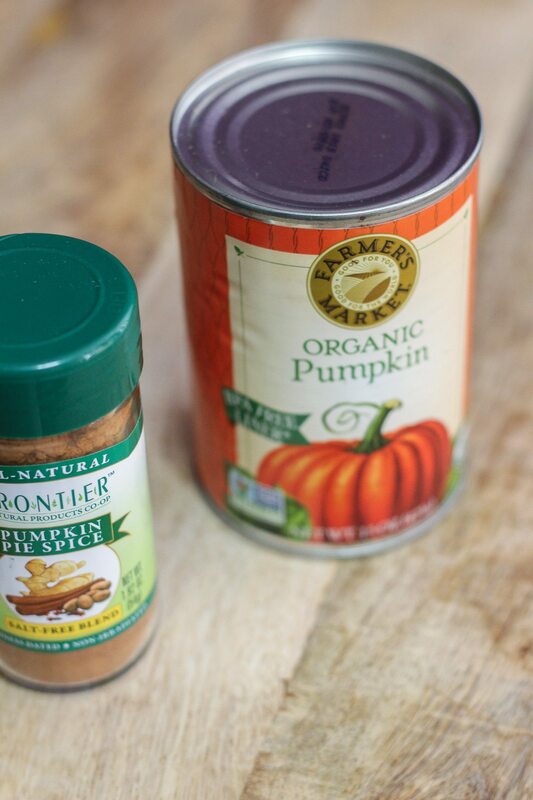 Start with 2 tbsp of pumpkin spice mix first and add another tablespoon if you want it to be more flavorful and sweet. Pour the milk + pumpkin mix into the tea. Top with some whipped cream and a pinch of pumpkin spice. Where can i buy the pumpkin? This is just wow! I do not take coffee, so chai (tea) always works for me. Do you mean a chocolate chai latte?